You will marvel at the high performance and precedent setting seating of the Bright spa. 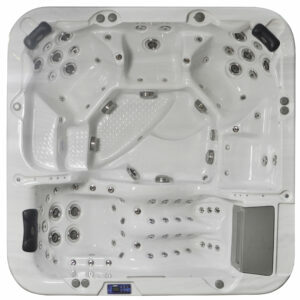 With an impressive 96 jets you are assured anincredible massage from every seat and lounger in this spa. Alternatively, turn the pumps off, relax and listen to the sounds of the Cascade Creek Water Fall trickling into the spa, a standard feature on all Signature and Exclusive models. 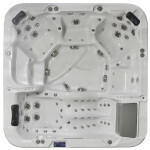 Passion Spas are designed for maximum performance and relaxation, whatever your personal preferences.